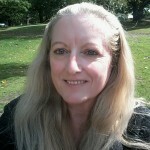 Keep The Green Clean is a local community project which aims to create and maintain Greenstead Slopes and Ghost Wood as a litter-free environment for all to enjoy. 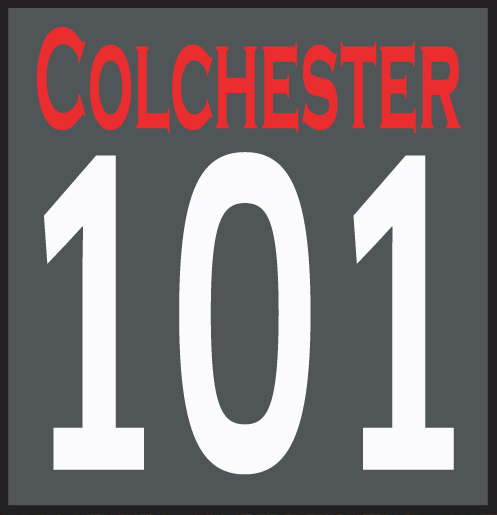 Karen Waddy tells Colchester 101 more about it. 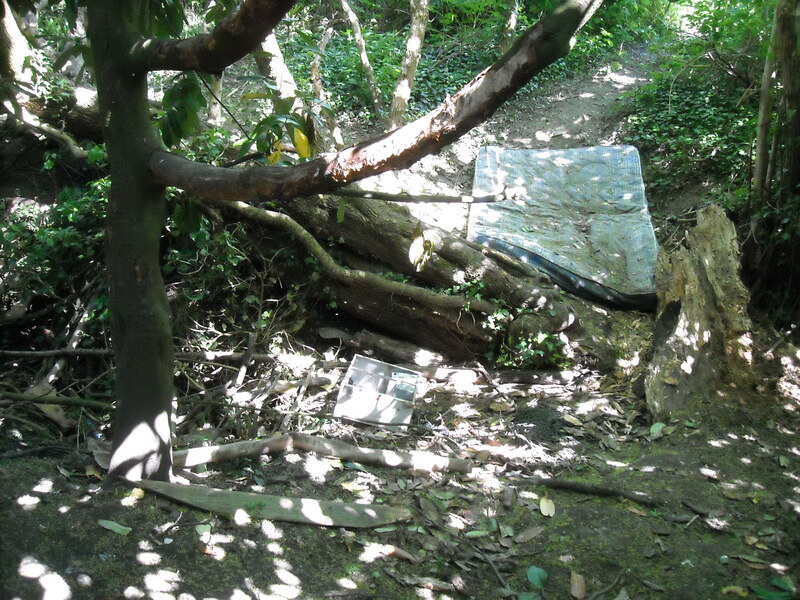 It all began several years ago when a few dog walkers began picking up other people’s rubbish while they were out with their pets. When I first became involved the stream (Porter’s Brook) which runs behind the wood was full of old mattresses, empty paint tins and even a rusty old motorbike frame. The wood was full of ‘dens’ created from broken bits of furniture and were a magnet for anti-social behaviour. We contacted Colchester Borough Council about the larger items, which they removed for us; something we still have to request but thankfully not as often nowadays. We’re incredibly lucky to live on a large council housing estate and yet have this remarkable natural area literally on our doorsteps. 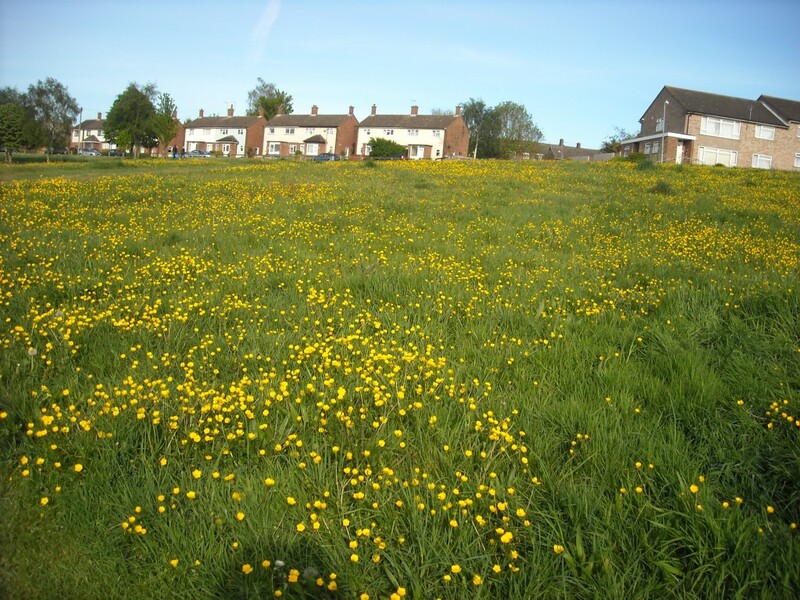 In the spring we’re treated to a wonderful display of buttercups in their millions across the bottom of the slopes, before the wood is covered in a carpet of fabulous bluebells. The wildlife is incredible, with a natural meadow full of butterflies, bees and grasshoppers and trees filled with a wide array of birds; from tiny sparrows to large jays, as well as grey squirrels. Since ridding the stream of junk we now have the water running freely; something which hasn’t happened in years. 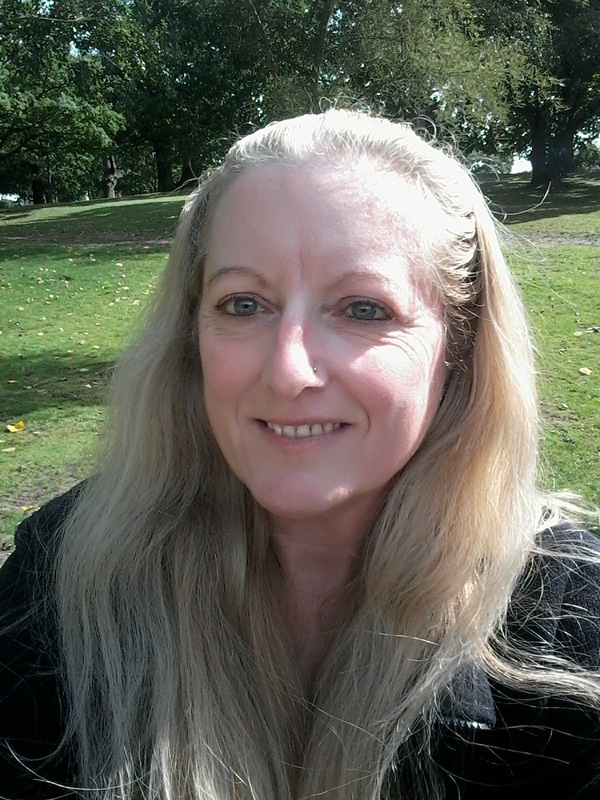 I started writing a couple of blogs about the project two years ago in an effort to engage local residents in the scheme and to attempt to get others to help out with the ongoing task of keeping the green spaces tidy, and to advertise events which we organise. We held a Dog Awareness Day during June 2013 in order to tackle the thorny issue of irresponsible owners allowing their dogs to foul the area, and October 2015 we held a Planting Day, when a group of us, assisted by the Community Payback Team, planted hundreds of snowdrop, crocus and daffodil bulbs around the trees and at the edges of the field. We’re hoping to see a lovely display in the spring. 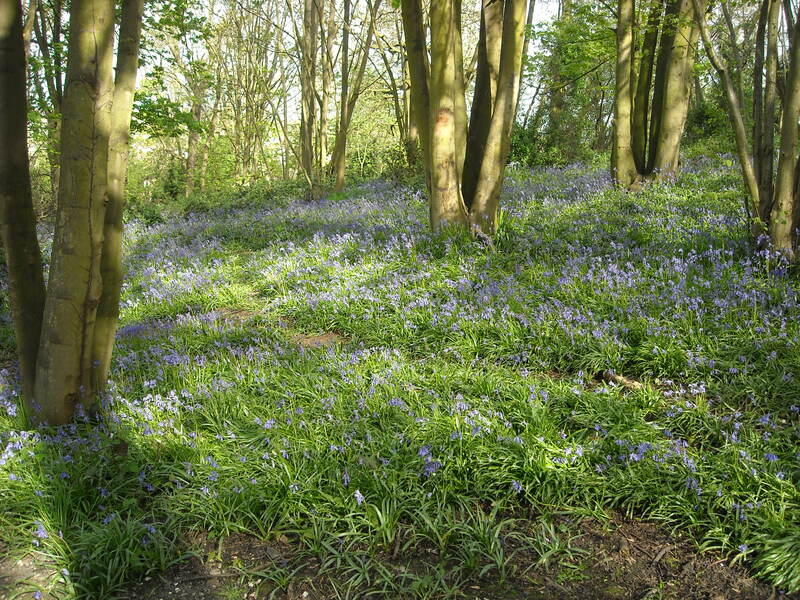 February 2015 Keep The Green Clean and Ghost Wood / Greenstead Slopes were both given prestigious RHS Neighbourhood Awards from Colchester in Bloom. 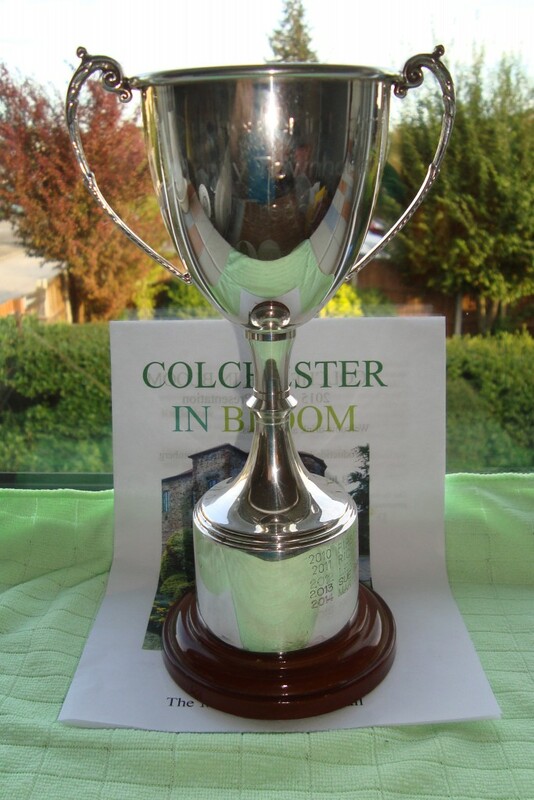 On 23rd September we were awarded the Trinity House Trophy in the Best Community Project 2015 category by Colchester in Bloom. November 2015 we were nominated for an award from Colchester Borough Homes for Action Against Anti-Social Behaviour. 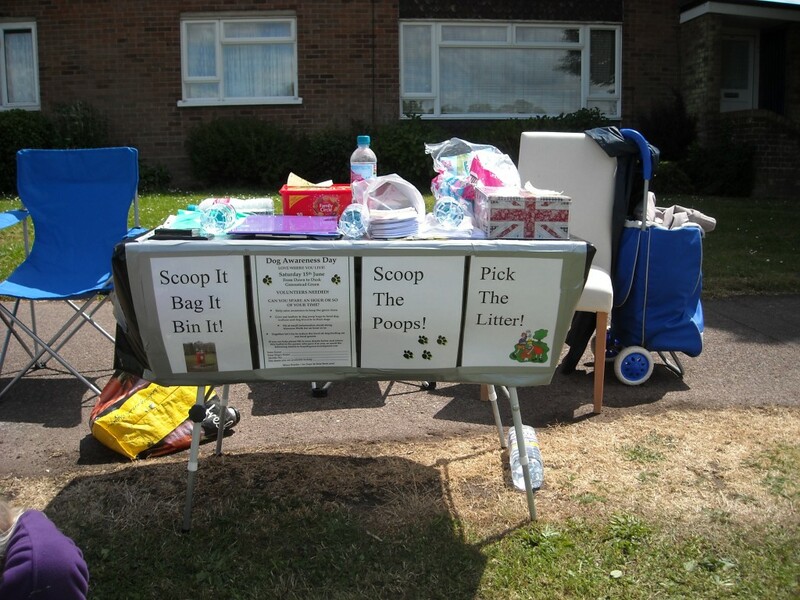 We’re very lucky to have the support of our local Street Warden along with Colchester Borough Council.